Have you decided to advertise on Facebook yet? Today, everyone is into social media. This has turned social media into a necessity for every business. It’s no longer enough to just have websites or blog pages. In order to keep up with mainstream marketing, you need to use social media, in particular for the sole purpose of connecting with people. Facebook has been hailed as the largest social media network with more than 1 billion users. This is the reason why every business wants to be on Facebook, no matter how big or small the company is. 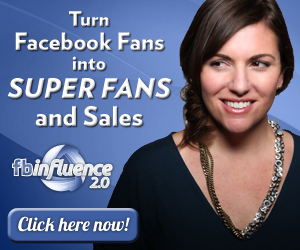 The goal of using Facebook for business is to reach as many users and convert them into fans and potential clients. But with so much competition out there, how can this be done? The answer is to advertise on Facebook. Facebook Ads are an advertising mechanism available on Facebook. Facebook allows you to advertise and promote your business page to get more fans and extend your reach. When a user clicks on your ad, you will be charged by Facebook for that segment of traffic, regardless of whether you were able to convert that user to a fan or not. You can promote your business page, an external website, a sponsored story, or you can even launch a campaign to get thousands of “likes” on your fan page! When you advertise on Facebook, you are trying to attract fans who will become end users of your product or service. That is why it is vitally important to identify the demographics of your target audience. Knowing your target audience will increase your conversion rate. This, in turn, will reduce your advertising costs considerably, while at the same time reaching a more related audience, since you won’t be wasting money on ads that are being shown to the wrong audience! You need to make your ad catchy so that people will notice it. Remember that it only occupies a small thumbnail-sized area on the right hand side of your Facebook canvas, so you have to make it attract attention. You can use interesting pictures and insert catchy titles to attract more people. The more that people notice your ad, the greater the chance you have of converting them into fans! What should you advertise on Facebook? The most common item to promote is your business page. When a user clicks on your ad, they get routed to your business page and they will have an opportunity to give it a like. You can also promote an external link, perhaps your website. When they click on the ad, they are brought out of Facebook and routed to your landing page. A relatively new type of Facebook ad is a “sponsored story”. You basically tell Facebook to promote a status update that you’ve posted on your Fan Page. The ad will appear showing the post that you made. A good idea is to include a link in that post so users are taken to a custom page that has an offer on it! It’s also a good way of expanding your reach. In addition, you can promote events, Facebook groups, products, and a whole lot more. Social media has indeed changed the way we market or promote our businesses. It created a new platform from which we are now able to reach out to more people and other networks than ever before. Facebook Ads are an effective, yet affordable way to help us grow our businesses. NOW is the right time to ditch our old marketing techniques and harness the incredible power of social media. If you want to learn more about Facebook Ads, you may want to check out Sell More With Facebook Ads in 30 Days. It’s a very thorough course that will teach you practically everything you need to know about how to advertise on Facebook.